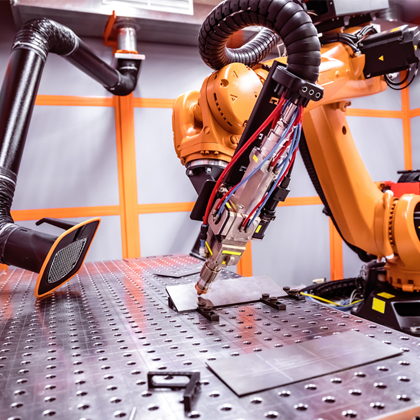 By May 2021, new safety standards for collaborating industrial robotic systems are expected to be in place, amid rising concerns about operator safety in the industrial workplace environment. ISO 10218 is the central safety standard for industrial robot applications and it consists of two parts: ISO 10218-1, which describes the safety requirements for the robot manufacturer and ISO 10218-2, which contains the safety requirements for the robot integrator. Although the safety requirements under the new regime are not yet fully described some of the likely safety parameters that will be included are already known. 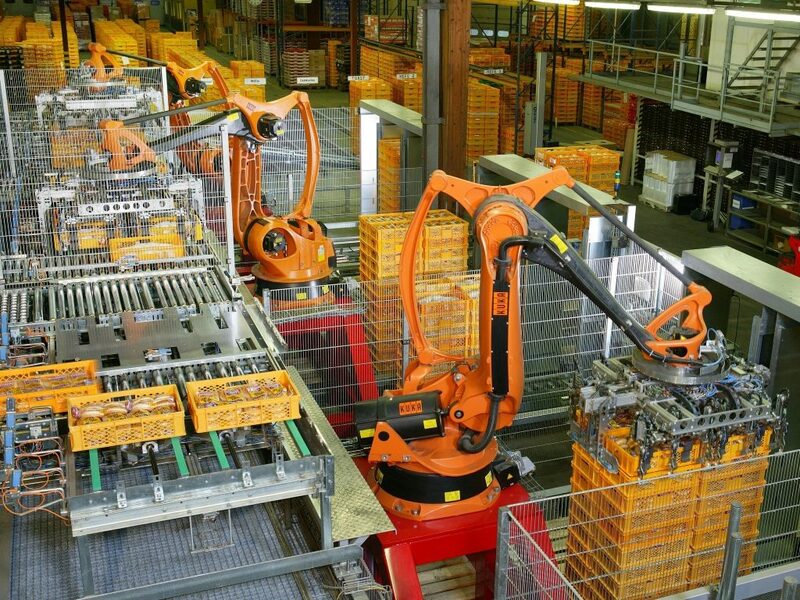 According to Pilz GmbH & Co. KG the German based automation technology company and member of the ISO international technical committee on Robotics and working group on industrial safety, the topics that will be discussed in the revision include: the creation of a list with safety functions such as safe stop (must be dual-channel) and safe reduced speed. Other issues to be covered include: a provision for manual override, speed and distance monitoring and power and force limitation. This latter point will be covered by the adoption and revision of the biomechanical limit values ​​for power and force limitation, under the safety requirements for robotic gripper systems. Cyber-security will be addressed as well. As robots in the industrial workplace have become more powerful and ever more complex, the issue of operator safety has taken on added urgency. The latest KMR 1500 autonomous vehicle available from KUKA Mobile Robotics, for example, is attached to a seven-axis robot and weighs a whopping 1,500 kg, or 3,300 lb. By using SLAM (Simultaneous Localization and Mapping) technology method the KMR1500 can haul an entire family sized car throughout a facility without fixed infrastructure. However, by comparison with driver operated forklifts, which OSHA calculates caused 85 fatalities and 34,900 serious injuries per year, industrial robots are deemed to be much safer. For example, Seegrid’s VGVs (Vision Guided Vehicles) that are available from Seegrid the Pittsburgh manufacturer of self-driving pallet trucks, are said to have logged more than 1 million miles on the factory floor without an accident. The autonomous vehicles use stereoscopic vision guidance. Unlike old AGV technology, Seegrid’s self-driving vehicles are built for flexibility and the company’s solution gives customers the power to retrain routes in-house without Seegrid engineers. In order to ‘train’ the vehicle the operator drives or walks the vehicle along the desired routes during which time the vehicle’s “eyes” capture and build a 360 degree map of the world around it. The desired destination is then entered and the ‘work’ button is then activated in driverless mode. At the International Manufacturing Technology Show (IMTS) held in Chicago in September, a number of new autonomous vehicles and collaborative robots were showcased. The Danish company Mobile Industrial Robots (MiR), which has seen 140% growth in sales this year following 300% growth in 2017, launched its MiR500. The vehicle is designed specifically to replace lift trucks across a range of industries. The MiR500 is a bigger version of its earlier and smaller MiR100 and MiR200 vehicle and can lift a 500kg or 1,100 lb payload. It relies on two 3D cameras that can detect objects 11 feet away, and a SICK Microscan3 safety laser scanner system for 360-degree coverage. And it uses the same software as the previous models. OMEGA specialises in two jobs: autonomous floor-to-floor deliveries and semi-autonomous mode where workers can take over complex loading or unloading tasks. At the system’s core is AI that enables it to learn new skills and how to do new jobs with every software update. The vehicle receives orders, reports on its status and notifies human operators of issues in real-time. It is always collecting data from its surroundings and learning from human operators while communicating with a centralized control system. Customers include Fortune 100 brands like GE, John Deere, and Toyota. But as Pilz says in the arena of human-robot collaboration, “There is no safe robot only a safe robot application.” And in the 2021 standards the limit values ​​for a potential collision in accordance with ISO/TS 15066 (body zone model) must be taken into account. In that regard, the company recently launched PROBms its new robot force and pressure measurement system. It is said to, “Guarantee the standard-compliant safety of human-robot collaboration”. PROBms is suitable for all human-robot collaboration applications, including pick-and-place applications in the automotive and electronics industry.